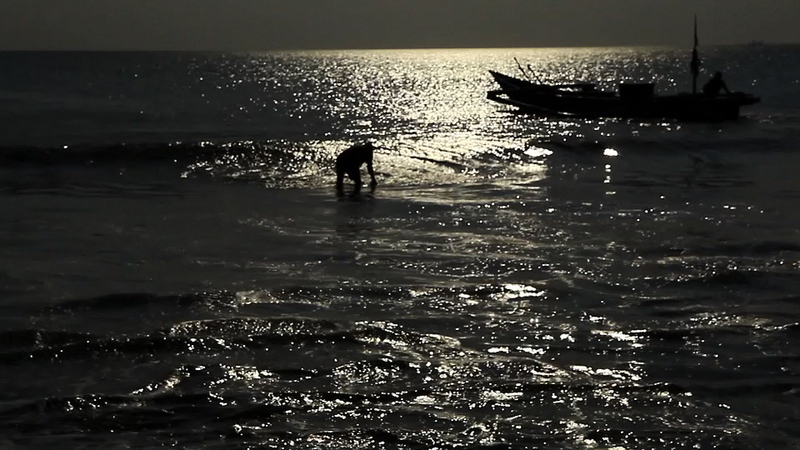 This is a still taken from a film that I made at Jimbaran, in Bali a few months ago. At around 4pm each afternoon, the beach suddenly comes to life as fishermen drag their boats down from the boat houses and line them up by the waters edge ready to embark on a night of fishing. This picture is of the priest beating the sea with a whip. As he thrashes at the water, he chants a prayer to ward of evil spirits to help ensure a safe journey and return for each of the boats; Each boat is blessed before it leaves. The scene is quite magical and I am always left with a sense of something quite spiritual having taken place. Man’s understanding that Nature is a greater force and power than he shall ever be. Lovely picture and thoughts. Educational as well.